According to conventional financial planning, it’s important for high-net-worth individuals to self-insure for long-term care expenses. 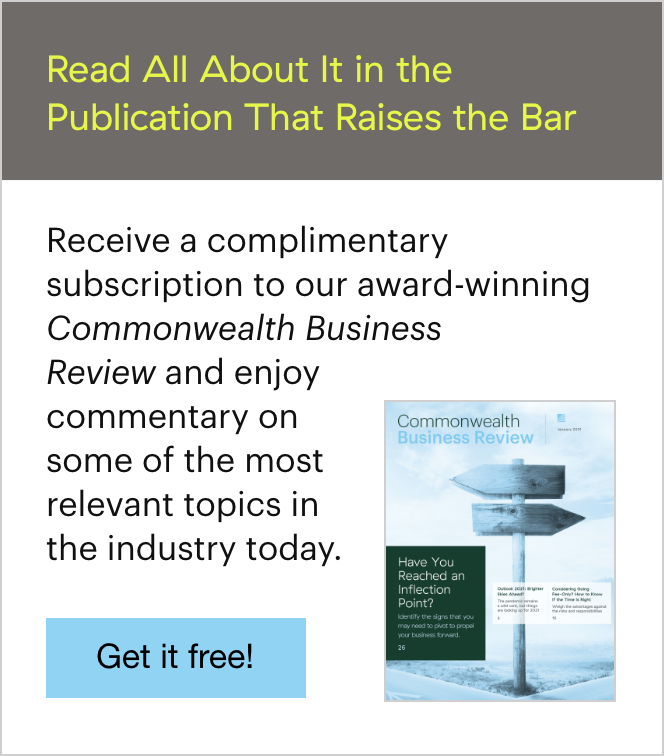 At Commonwealth and Ash Brokerage, our insurance partner, we would agree that while there's some truth to this idea, most clients (including high-net-worth ones) should consider transferring the risk of long-term care. But that's not to say it's right for every high-net-worth client. The question, then, is how can you determine if it's the right choice for your clients? To guide you and your clients through this decision-making process, consider the following five steps. Faulty assumptions can cause a lot of harm. You may assume that every client with $1 million in assets (or $2 million, $3 million, and so on) should self-insure for long-term care without first discussing the issue with those clients. Or perhaps your clients assume they have more than enough assets to self-insure, without understanding the true cost of a long-term care event. 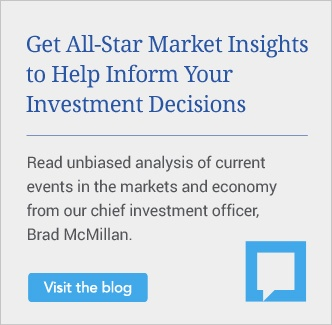 If you don't check these assumptions, your clients may end up taking losses that can't be recouped. 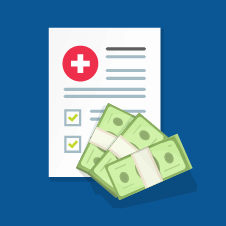 Many individuals use income to pay for long-term care expenses, so determining whether to self-insure should be a question of liquidity, not solvency. Although it might seem intuitive to use net worth as a gauge for a client's ability to self-insure, income is actually the more accurate indicator. Now, you may be thinking, can't my clients sell assets from their portfolios to pay for long-term care? Indeed, they can. But liquidating assets can be quite expensive, and it can jeopardize their overall financial planning strategies. As household income is drained to pay for long-term care expenses, clients may reallocate liquid assets (e.g., brokerage and retirement accounts) to pay for their monthly needs. Of course, these transactions will have consequences, including tax ramifications and penalties. Plus, without these assets to drive it, your clients' future retirement income could take a hit as well. 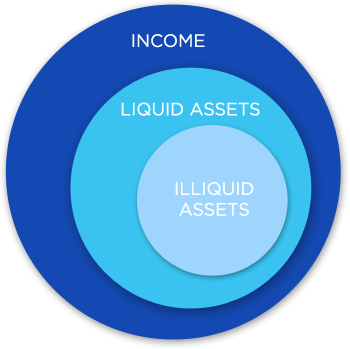 You should also consider the challenges of converting illiquid assets, such as real estate, into liquid assets. It may not be possible for clients to liquidate these assets, or they may take a substantial loss on the sale or face tax consequences. Costs for long-term care vary depending on the geographic area and the level of care needed. In Massachusetts, the average monthly nursing home bill is $12,015, and some clients' care could total more than $13,000 per month. Let's look at an example to help illustrate this point. Bob has a monthly retirement income of $18,000. This income supports his and his spouse's lifestyle, including their home, activities with family and grandchildren, hobbies, and charities. If Bob needs long-term care services at a cost of $13,000 per month, only $5,000 remains to support the spouse's lifestyle. Bob cannot spend an additional $13,000 per month—perhaps indefinitely—and still meet all his other financial obligations. As such, he should consider other sources of long-term care funding, such as a long-term care insurance policy, to cover part of the future costs. Most high-net-worth clients have a legacy plan, which dictates where they want their money to go after they die. If they self-insure for long-term care expenses, the legacy plan will undoubtedly be affected. Monies they planned for family members or charities will now go to the health care system. Is this an acceptable scenario for your clients? Some of your high-net-worth clients may decide that self-insuring isn't for them. If this is the case, it's time to evaluate their other options. Traditional long-term care insurance (LTCI). Traditional LTCI can be structured in one of two ways: to take all of the risk off the table (with lifetime coverage) or to eliminate some of the risk (e.g., with a five- or six-year plan). Life insurance policy with a long-term care rider. For those clients who want to self-insure for long-term care but don't want to reposition a large sum of assets, life insurance is a good alternative. A life insurance policy allows for annual premiums rather than single premiums. Plus, because the policy is underwritten, the death benefits tend to exceed those from linked-benefit products. Nicole is a high-net-worth client. She's 65 and married, and she previously declined LTCI because she feels that she has enough money to self-insure, including $200,000 in CDs that she calls her "emergency long-term care fund." You know, of course, that if she ever needs long-term care, this $200,000 won't go far, and she may have to make up the shortfall with other assets. Care coordinators. Many clients who need care prefer to stay in their homes, but there are many challenges that come with setting up home care. Both traditional LTCI and linked-benefit insurance provide policyholders with care coordinators who can help facilitate this transition. These coordinators offer a very high-level concierge service, which can make a difficult time a little less stressful. Helping clients navigate the many challenges of long-term care with empathy is one of the most valuable services you can offer, whether or not they choose to self-insure. LTCI not only protects assets but also provides income to pay for care, allowing clients' portfolios to continue supporting their lifestyle and obligations—and keeping their retirement plans on track. Some people call LTCI liquidity insurance. I prefer to think of it as sound financial planning. Do you have high-net-worth clients undecided about self-insurance? What have you found are their biggest concerns, and how have you helped guide them through this process? Please share your thoughts below!